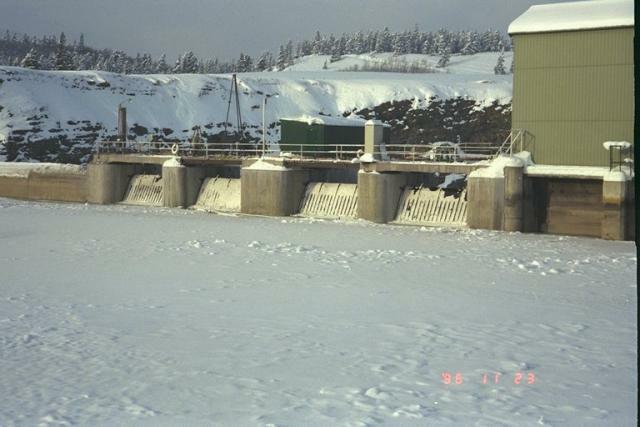 Cold Climate Water Control | Obermeyer Hydro, Inc.
Obermeyer spillway gates are successfully used in extremely cold climates such as the Northern United States including Alaska as well as Canada and Iceland. 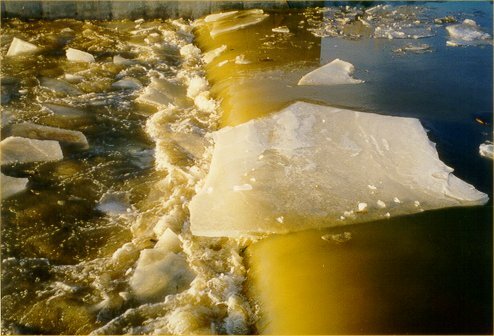 The flexible gate panel support provided by the air bladders allows passage of large sheets of ice. 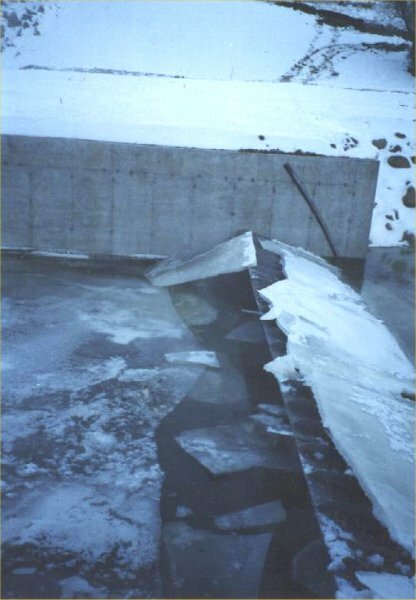 The steel gate panels prevent rocks, trees and other sharp objects which may be embedded in ice sheets from damaging the inflatable air bladders.